Whether its catamarans, keelboats, racing skiffs, or small dinghies no one can deny we need more sailors out on the water. Sailing can be an expensive sport but in Clear Lake there is one small club that is working to make it more accessible to anyone. The Clear Lake Sailing Club is a non-profit educational organization that was founded in 1969. The club consists mainly of dinghies (20 ft and under) and performs the majority of their activities on Clear Lake. To keep costs to a minimum members store their boats independently (most in their yards) and launch from Clear Lake Park. 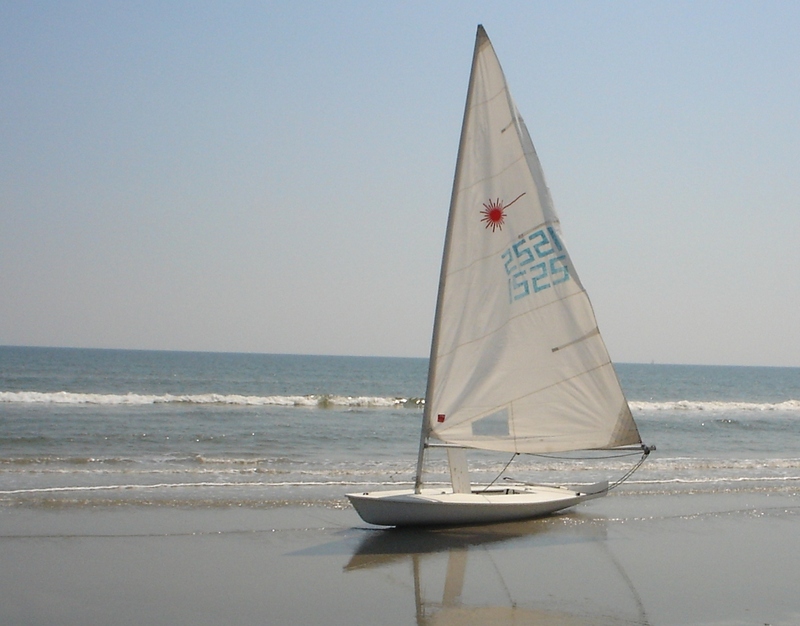 They not only offer classroom lessons on sailing but also take students out for on-the-water demos, host a number of series races throughout the summer, perform outreach activities, and even organize social sailing trips at locations such as the Texas City Dike and Galveston. Even though their budget is almost non-existent they still manage to acquire donated boats occasionally, which they fix/clean up then pass on to new sailors. All of this they do with the goal of getting more people out sailing. So, if you’re looking to get into sailing or maybe just want to see what its all about the CLSC is ready to help you get there. Some of you might remember when the Clear Lake Sailing Club came out to the Dike at the end of last month (bunch of new sailors with a Sweet 16 and a Sunfish)…well, they had so much fun that they are planning to come out again this Saturday, July 30th. Hopefully they’ll have a Sunfish, a Laser, and a couple other small monohulls. They’re a real friendly group that will be introducing people to sailing. I’m planning on giving H18 rides and if anyone else has the time and would like to help show some newbies what cat sailing is all about please come on by, I know they would really appreciate it. And of course the offer goes both ways – if anyone wants to take a ride on one of the club’s boats just ask! Hope to see some of y’all out this weekend. ~ by Floyd on July 26, 2011.